Thought out to be one of the most beautiful estates of the Languedoc, you will be seduced by this quiet and peaceful property, stretching over 165ha. The proximity of Montpellier motorways and airport as well as the Mediterranean beaches, only 30 minutes away makes this place propitious for luxury agro-tourism business. It comprises of a 800 sq m 16th century built castle, reconstructed in the 19th century, entirely renovated (vaulted rooms, roman chapel from the 10th century…). 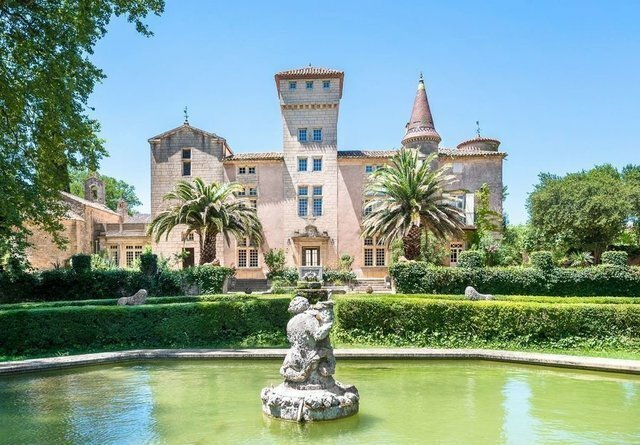 The castle opens up to a 3ha closed park, sported of bicentenary essences, fountains, swimming-pool and tennis. A 200 sq m duplex apartment completes the layout. Several renovated housing outbuildings, a 2,000 sq m wine cellar and a 63ha vineyard exploited in AOP Côteaux du Languedoc and vins de pays.